After driving through floods and arriving in torrential rain, the Marblehead skippers probably didn’t hold out any great hopes for the day ahead, but as the first race started, the sky cleared and the wind filled in straight down the lake ensuring a terrific day of close racing. 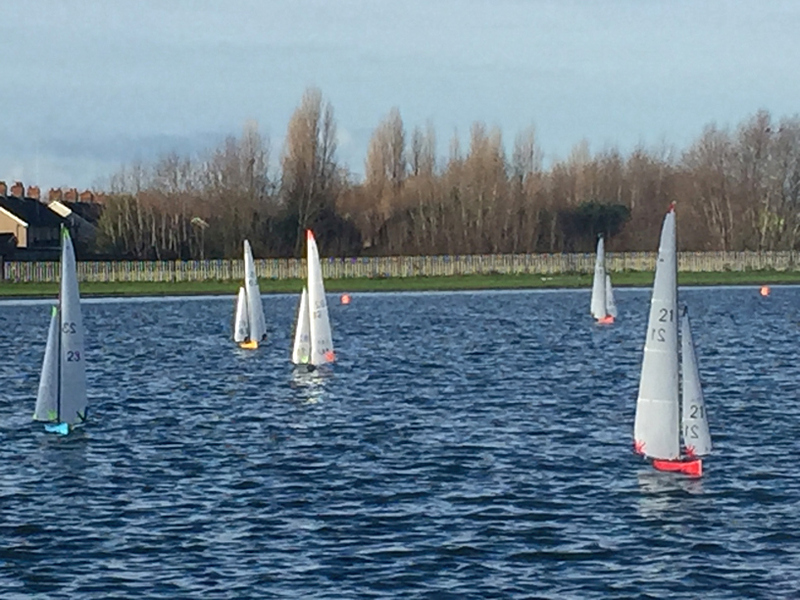 Early front runner was Martin Roberts with various boats having their moments, but by lunchtime Darin Ballington and Colin Walton from Manor Park, and Graham Elliott from the home club had also established themselves at the top end of the leader board. After lunch Darin started to claw back Martin’s early lead and after 13 races it was all square. The final race was to be a shoot out to determine the overall winner and with that, the fleet hit the start line as one, bang on the hooter, with Martin tucked under Darin’s lee bow . With both the light and wind fading Martin used all his local experience to grind out the win to take the event overall. 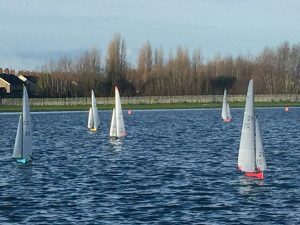 Next year the club is intending to hold open Marblehead racing at West Kirby so keep an eye on our website for dates. All welcome.